This pack contains an animated mech with modular weapons. Please note: You can check out the free test mech “Striker” available on my publisher account. 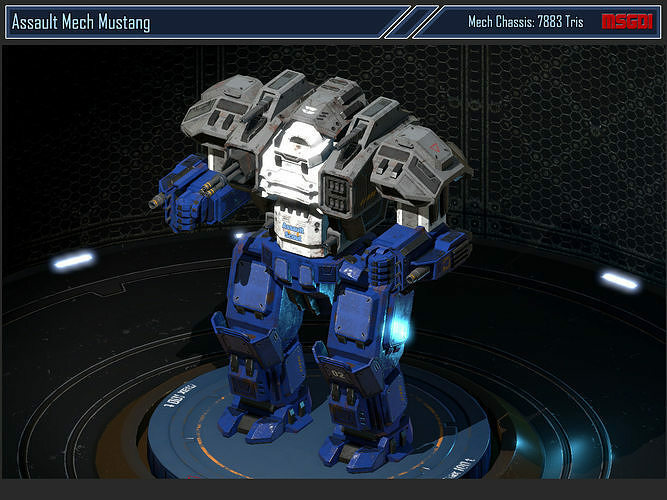 You can use this test mech to play around and test out if the mech models will fit your needs. If the test mech works fine all my other mechs will work as well. The test mech also includes the background scene shown on the pics. The model is skinned, rigged and fully animated.